Meet guests’ TV expectations with the LED industry leader. 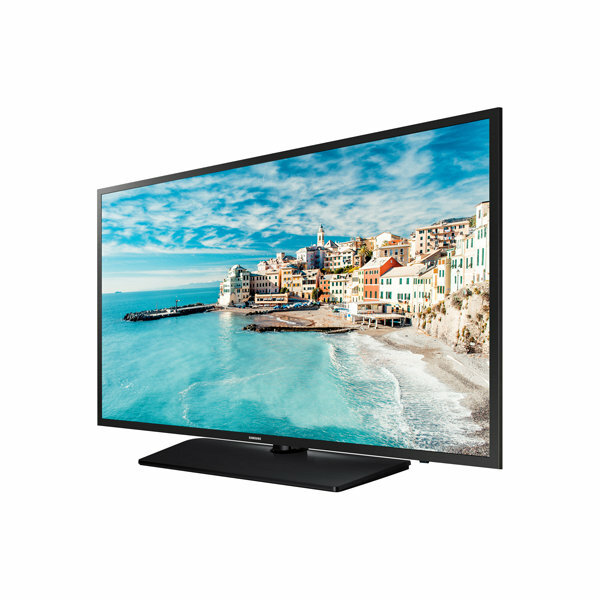 The Samsung NJ470 Series Hospitality TVs come complete with direct-lit LED technology, delivering all the benefits of LED, while doing it more affordably. You’ll be able to deliver the bright, beautiful pictures that guests are used to from their own TVs at home, while your cost of entry is similar to that of a traditional CCFL back-lit option. LED uses up to 50% less energy, too, helping you conserve and save money. Content management is made simple with the Samsung REACH 4.0 management solution. And Samsung’s LYNK™ DRM technology protects content, while offering guests a seamless viewing experience. It’s the platform that delivers an at-home, in-room experience, affordably. Direct-lit LED technology provides the brilliance and energy savings advantages of LED technology, along with the uniform brightness typical of CCFL displays. And it does it all with an efficiency that makes it a more affordable technology. In fact, it’s possible to upgrade your rooms to LED technology for a cost comparable to CCFL technology. Samsung’s software-based DRM technology is integrated into the entire Samsung Hotel TV line. Samsung LYNK™ offers a robust solution to unlock premium HDTV content from content providers such as cable, satellite and VOD providers, with maximum efficiency and security. 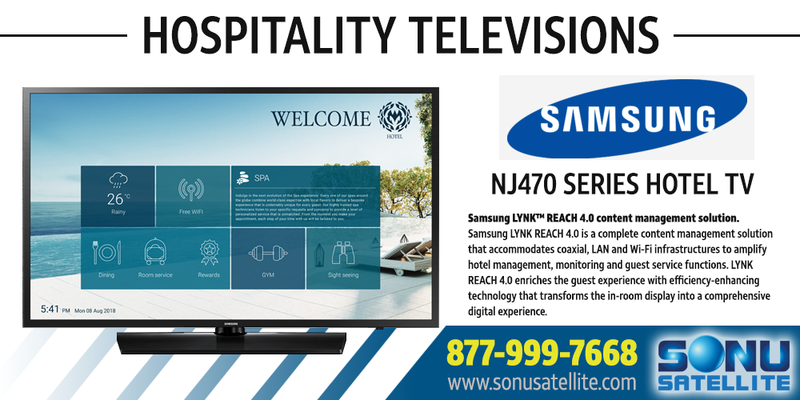 Samsung LYNK REACH 4.0 is a complete content management solution that accommodates coaxial, LAN and Wi-Fi infrastructures to amplify hotel management, monitoring and guest service functions. LYNK REACH 4.0 enriches the guest experience with efficiency-enhancing technology that transforms the in-room display into a comprehensive digital experience. The display pedestal stands rotate with 20/20, 60/60 and 90/90 degree stops, for easy adjustability.